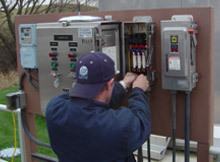 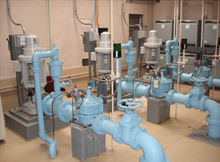 Illinois Pump has handled engineered pumping applications and provides pump service for any application; including… Industrial, irrigation, lift stations, wastewater, water treatment, pump controls, municipalities, heating and cooling, ejector pumps, submersible pumps, propeller and mixed flow pumps for flood control, irrigation, centrifugal pumps for sewage lift stations, sludge pumping, trash pumping and clean water booster applications just to name a few. 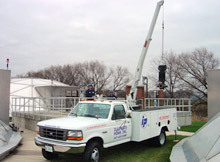 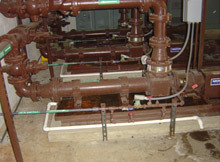 Thus earning it’s reputation as one of the leading pump repair specialists in Illinois. 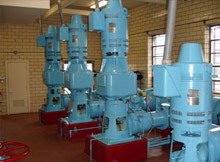 Domestic Water Booster – "House Pumps"